With a full Sample Display Kit, your customers and sales locations can offer their customers everything they need to make a good and quick buying decision. Wood Swatch Cards, whether with solid wood, veneers or digital prints can offer the user a quick guide to the breadth of your offering. 3d Profile Samples show the gamut of all trimming shapes and sizes available. 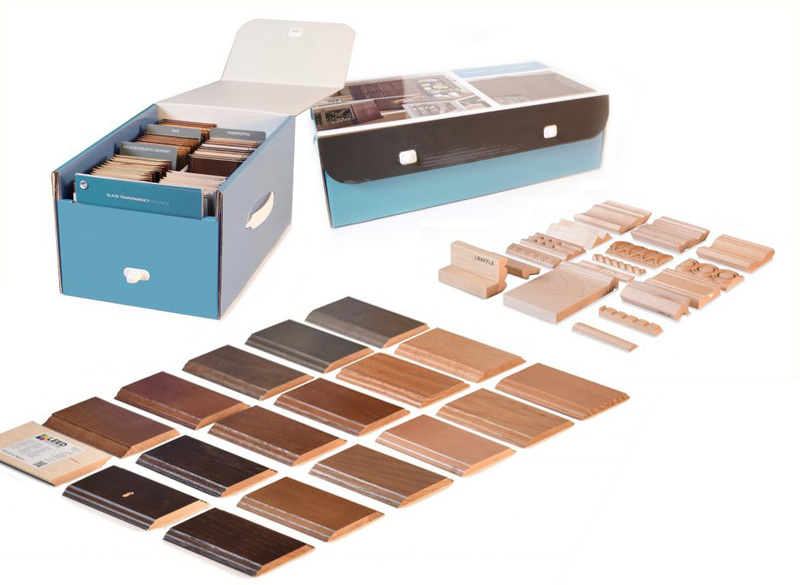 Color Blocks allow the user a real life sample of actual finish on grain — and samples can be sent as loaners to view on location in the actual location of use. With Leed Samples, you can manufacture whatever sampling tools you need, in virtually any quantity you need for initial distribution, or replenishment of samples used for the generation of your orders. Leed Fulfillment can handle all of the kitting, distribution, and materials management necessary to keep your costs low while keeping your samples in front of your customers.